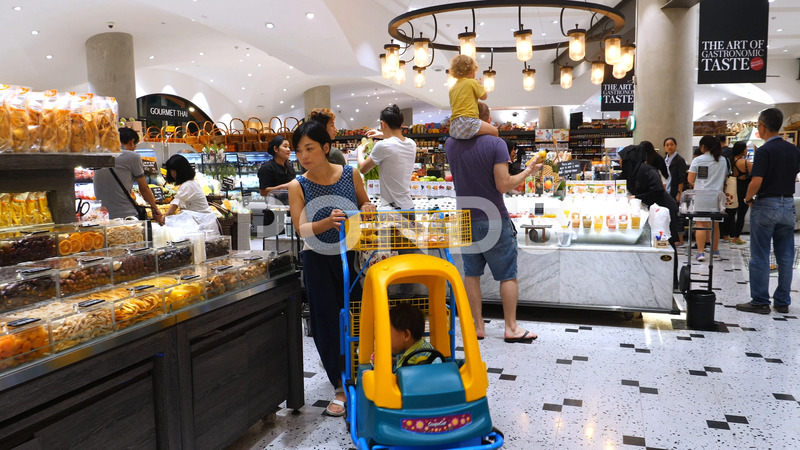 Description: People Shopping In Supermarket. Bangkok, Thailand, 12 July, 2018. 4K.